You deserve a smile you love, one that makes you happy and that you're proud to share with the world. Cosmetic and general dentist Dr. Robert F. Wilcox in Butte, Montana, is passionate about helping patients achieve their very best smiles with full or partial smile makeovers. From simple smile touch-ups to full-blown restorations, Robert F. Wilcox, DMD, PC is here for you. Call or book online for a consultation today. Dr. Wilcox offers both partial and complete smile transformations that are customized to suit your aesthetic goals and unique dental needs. A smile makeover is any cosmetic dentistry procedure used to enhance your smile. It can be a complex mouth reconstruction or a straightforward professional teeth whitening treatment. Your smile transformation might consist of a number of these treatments. Dr. Wilcox answers your questions and explains the benefits of each procedure so you can choose the best one for you. Following his assessment, it's time to talk about your smile makeover options. Dr. Wilcox makes client education a priority and works side-by-side with you to determine the right makeover treatment plan. For a small fee, Dr. Wilcox can provide you with a visual rendering of what your smile might look like at the end of your makeover. You can then choose to go through with the procedure or not. Happy with what you see? Schedule your smile makeover, and your payment will go toward your procedure. 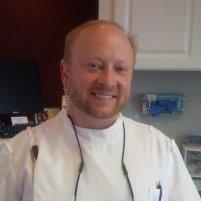 Dr. Wilcox is conservative in his approach to dentistry. He only advocates for cosmetic procedures that further the health and beauty of your smile. He is also an advocate for accessible and affordable cosmetic dentistry. That's why Robert F. Wilcox, DMD, PC accepts the healthcare financing program CareCredit, to help you pay for your smile makeover on your terms. If you think your smile could be brighter or more radiant, call Robert F. Wilcox, DMD, PC or book an appointment online today.